Boil some cups of water in a deep pot. Place the chicken breast in and spice up with salt and pepper. When the chicken is cooked and tender, remove from the heat and drain with a colander. Alternatively, instead of boiling, you can roast the chicken if you want a very dry pizza crust. 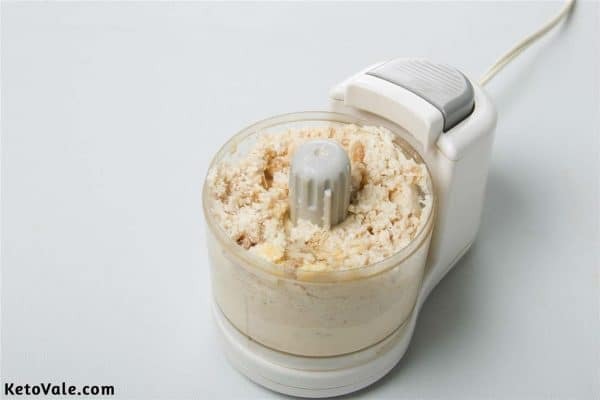 Using a food processor, tear the chicken into small bits. Transfer to a baking sheet. Set the oven to 300°F and place the baking sheet in the oven for 10 minutes, just enough to dry the meat. When done, replace in the food processor. Toss in the parmesan cheese and add the beaten eggs. 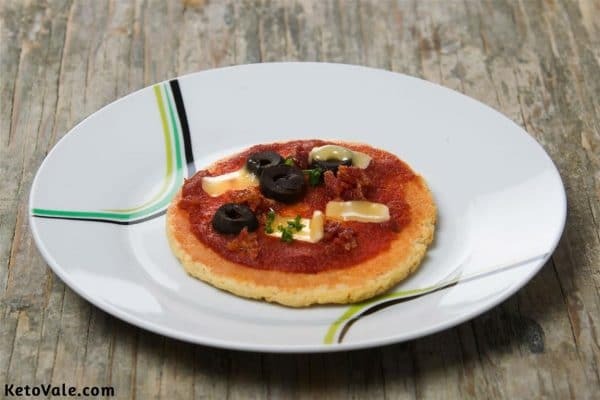 Continue pulsing until the mixture becomes identical to a pizza dough, enough to be kneaded. 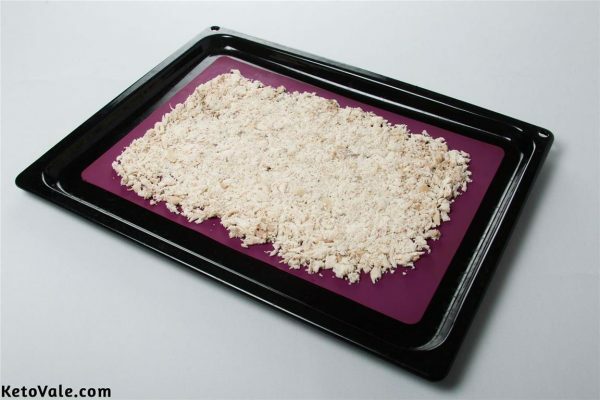 Transfer the dough to a flat sheet and use a rolling pin to flatten it. 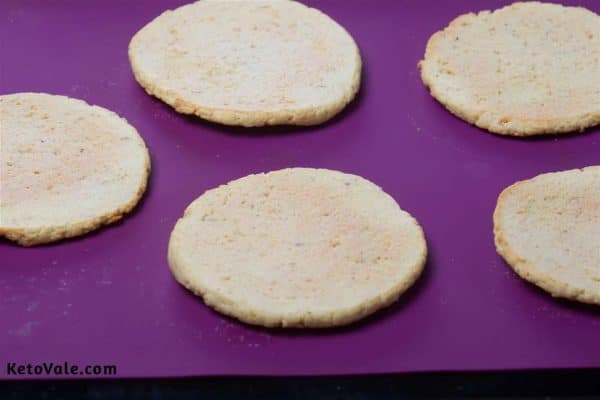 Cut round shapes on the crust using cookie cutters. Replace the pizza crusts on the same baking sheet and put in the 300°F preheated oven again for 20 minutes. Brown the crusts before removing. Throw in any desired pizza topping and rebake for an additional 5-7 minutes. 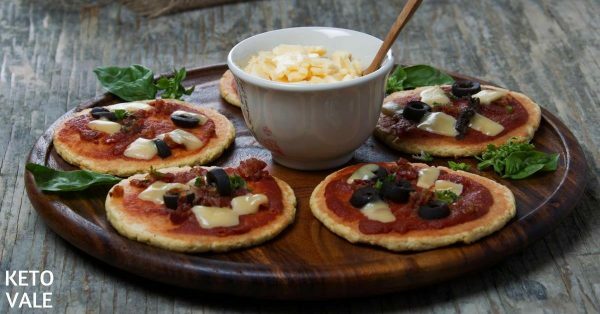 Enjoy your mini pizzas while warm!